Coby-Lea was recently diagnosed with Endometriosis at 22 years old. 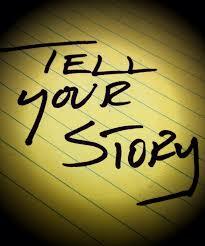 Living in Northern Rivers, New South Wales, she wanted to share her story with others today. Coby-Lea’s Journey: My story. Coby-Lea, 22 years old, diagnosed with endometriosis. Since I was 13, I’ve struggled with really extreme ‘period pain’ and abnormal cycles. They’d last for nearly 7 days! They’d be heavy. They’d sometimes have some tissue/clotty stuff. I was 13, I didn’t know what to do. Thankfully, my mum took me to the Dr who then put me on the pill to regulate my cycle and hopefully ease the pain. Fast forward 9 years, I cannot take the unbearable pain anymore. I know myself I am not exaggerating every time I say ‘this is the worst pain I’ve ever had!’. And so, this is where it all begins. On the 27.6.18 I went for a hysteroscopy, D & C, laparoscopy & dye to finally receive a diagnosis to explain the bed ridden, knife stabbing, punching pain I’d been feeling in my abdomen, especially the past 6 months in particular. In the lead-up, one dr said to me ‘oh it must just be some bad period pain, I’ll give you a script for some pain relief’. Strange, I thought, considering I hadn’t had a regular period for 13 months, since having a miscarriage that broke me in many ways and again the doctor’s words pained me ‘it’s a good thing it was early’. I went for an ultrasound to make sure my miscarriage didn’t leave anything behind. I was told there was some tissue that would pass out. Wrong. I ended up with an infection in my Fallopian tubes, so I found out after my first visit to emergency. Another 2 emergency visits and 3 doctors visits within a month finally led to an appointment with a gynaecologist. Hooray, I thought, some answers finally. With all my history and symptoms, the gynaecologist didn’t muck around. I was heading for surgery within a month. Thank goodness because the month leading up to surgery was one of the most painful months yet. It’s funny though because I’d tell people I’m in a lot of pain and not feeling well and they’d respond with ‘oh you look fine!’. One day at work I was in agony and nobody could tell. I soldiered on doing my job because living out of home requires me to work full-time and with no sick leave, I had to do what I had to do. Surgery. I don’t remember much, just the anxious feeling I felt when being rolled into the theatre room to be knocked out. Lots of people. Bright lights. Cold. Fast forward to waking up in absolute agony, crying for relief. A few hours later I was home, unable to move. Exhausted. The next few days that followed were extremely painful, as the gas they pumped my stomach with released through the nerves in my shoulder. Now here I am, one week after surgery and just had my follow up gynaecologist appointment and stitches out. 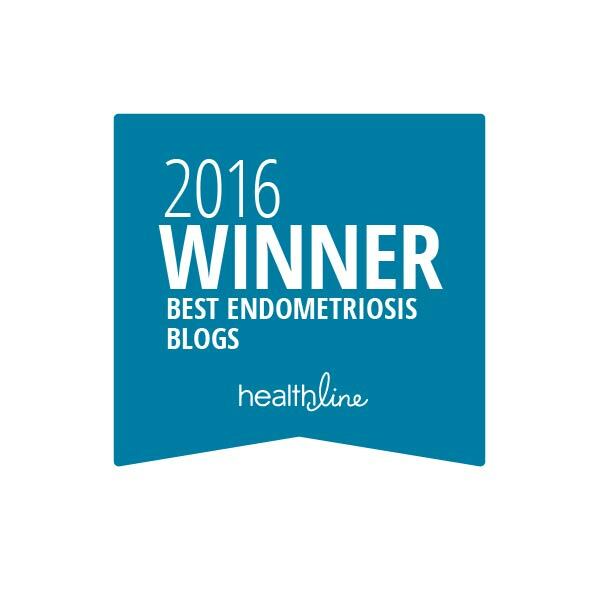 I was diagnosed with endometriosis. It was removed, but there are chances of it returning. How to get rid of it if it returns? Surgery, again. Endometriosis. Wow. 22 years old, recovering from a surgery that removed endometriosis. I’m baffled. On average it takes 10 years to diagnose this. It’s gone, I repeat to myself. It’ll be ok. Be positive, it won’t come back. I have to skip my period for 3 months to help prevent it from returning, although there’s no real prevention. The word kept playing on my mind and how casual the gynaecologist was when telling me … ‘so we’ve removed endometriosis, here’s some photos from the surgery… now let’s remove those stitches’. Hold up, I thought. 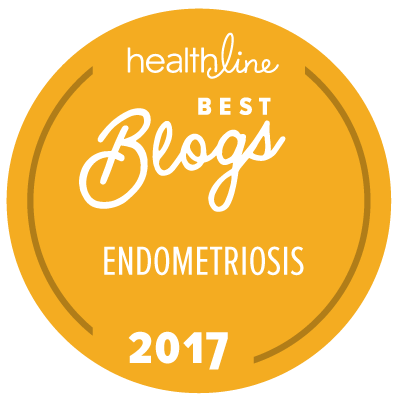 What is endometriosis exactly? How will this affect me? Will it come back? How did that tissue cause so much agony and pain? So many questions. I was handed a pamphlet to help understand. But yet, I still had no answers. Because there aren’t any. I always thought I’d keep my battle to myself, my partner and close family. Because it’s a personal issue, private. I didn’t want everyone’s sympathy, or anyone to feel sorry for me. Or for people to think I was seeking attention, I’m certainly not. But now, knowing that there’s so many others out there who think the same as me and hide their illness, I feel the need to speak out and reach out. You’re not alone. It’s ok to have bad days. Speaking out, asking for help and talking to others is not seeking attention, it’s seeking answers and support, like what am I dealing with? How many other women suffer? Why does someone with mild endo suffer more than someone with an extreme case? Why do some people feel pain and others don’t at all? What happens if it returns? Will I be one of the 3 in 10 women that will struggle to fall pregnant? What can I do about this? I want to send a special Thank You out to Coby-Lea for being brave enough to share her personal story, struggle, and victories with us today. Welcome aboard the EndoTrain. May you find the support of EndoSisters worldwide, as well as some answers and relief. If you ever need anything, I’m right here. You are a beautiful, brave, and strong woman. Thank you!! !